A constant thread throughout our blogs so far has been an assertion that alcoholism and addiction are primarily emotional regulation and processing disorders. So we were thus very interested to find this article (1) which describes how we are not the first to view alcoholism and addiction this way. Here we use this article to present a brief history of research, dating back to the 1930s, that has viewed alcoholism and addiction in a similar way to we do now in 2014. “Life, as we ﬁnd it, is too hard for us; it brings us too many pains, disappointments and impossible tasks. In order to bear it we cannot dispense with palliative measures. (…), intoxicating substances, which make us insensitive to it” (Freud, 1930, p. 75). Rado (1933) was the ﬁrst to describe substance use as a way of coping with excessively difﬁcult states of emotions (3). Others subsequently interpret the phenomena as a maladaptive way of ﬁghting against stress, anxiety, and depression (4-6). Krystal and Raskin(1970) emphasize the undifferentiated and archaic, somatically manifested, emotions of persons suffering from addictive disorders (7). These emotions are ﬁxed at this level owing to their early traumatic nature. Later, McDougall (1984) also highlighted the importance of overﬂowing emotions in the case of people with addictive disorders (8). He identiﬁed substanceuse as a compulsive way of canalizing these overﬂowing emotions. Conclusively, we can see that in all of these mainly psychoanalytically oriented theories, substance use is present as an instrument to regulate emotions. This approach is elaborated unequivocally in the theories of Leon Wurmser and Edward J. Khantzian. According to Wurmser (1974),people with addictive disorders are unable to regulate their undifferentiated feelings, impulses, and pervasive internal stress, and so they turn to psychoactive substances (9). Their substance use can thus be recognized as an attemptat “self-treatment.” The self-medication hypothesis of Khantzian (1985) also highlights emotion regulation in the background of addictions (10). He asserts that drug use in fact emerges as the common result of psychopharmacological functioning and overwhelmingly painful emotions. Like Wurmser, Khantzian also points out that the choice of substance is speciﬁc to the person’s self-regulation and affect-regulation problems, as well as his/her personality dysfunctions (11). More recently we have had Cheetham’s affect- centred theories of addiction (12). This graphic highlights areas of the brain governing emotional regulation such as the ventromedial prefrontal cortex which suggests chronic difficulties in emotional dysregulation, which potentiates the reward network, lying adjacent, and promotes higher relapse – click image for study. Apparently, clinical observations highlight mainly those dimensions in the background of psychoactive substance use—primarily the presence of undifferentiated, overﬂowing, dominantly negative and painful feelings, and difﬁculties in emotional expression and emotional regulation—which appear to be basic components of the later Emotional Intelligence (EI) construct (13). For instance, according to Mayer and Salovey (1997), the main components of EI are: (1) the perception, appraisal, and expression of emotions; (2) the emotional facilitation of thinking; (3) understanding and analyzing emotions, and employing emotional knowledge; and (4) the regulation of emotions. The most important empirical ﬁndings regarding our topic may be those studies, which attempted to explore the relationship between addictions and alexithymia. The concept of alexithymia (14) was created by Ruesch (1948) but the deﬁnition of Nemiah and Sifneos is more widely known (15,16). The four main characteristics of alexithymia are: (1) difﬁculty identifying feelings and distinguishing between emotions and corresponding bodily sensations; (2) difﬁculty describing feelings to others; (3) constricted imaginal life and fantasies; and (4) externally oriented cognitive style (17). The relationship between alexithymia and emotional consciousness or emotional intelligence was conﬁrmed by several studies (18-20). These studies pointed out that a low level of EI correlates with a high level of alexithymia. These results are hardly surprising, given that the ability to identify and express emotions is an important component of EI. One study looking at a meta analysis of research into emotional aspects of addiction (1) found – 12 of these studies solely measured the ability to identify emotions – Oscar-Berman and colleagues (1990) were the ﬁrst to draw attention to the fact that alcohol addicts, especially those suffering from Korsakoff‘s syndrome, have difﬁculties in identifying and decoding emotions mediated by facial expressions (25). Underlying the inaccuracy of decoding is the overestimation of intensity of emotions, especially negative ones, characteristic of alcohol patients (26-29). They also tend to associate negative emotions more often with each of the presented facial expressions (30). Furthermore, Kornreich and colleagues have pointed out that the ability to identify emotions is tightly and negatively associated with interpersonal problems, and these problems seem to be a mediating factor between emotional identiﬁcation deﬁcits and alcoholism (31). All of these ﬁndings may relate to results stating that people with alcohol addiction tend to interpret facial expressions, like sadness or disgust, falsely as emotions describing interpersonal conﬂicts, like anger or contempt (32). This latter result is also supported by an Italian study (33). A further important outcome of these investigations showed that alcohol-addicted patients, in spite of their weaker capacity, rate these emotion-decoding tasks at the same difﬁculty level as do people from the control groups. It therefore seems as though they are not aware of their difﬁculties in identifying emotions. At the same time, however, this distortion in the subjective ratings is not only characteristic of alcohol addiction, but is present in the case of opiate-addicted people as well (34,35). These studies also highlighted that alcoholism is associated with poorer emotion-decoding abilities than compulsive use of opiates. We have discussed emotional processing deficits in alcoholics and addicts in another blog. The prevalence rate of alexithymia in alcohol use disorders is between 45 to 67% (36,37). Finn, Martin and Phil (1987) investigated the presence of alexithymia among males at varying levels of genetic risk for alcoholism. They found that the high risk for alcoholism group was more likely to be alexithymic than the moderate and low genetic risk groups (38). The inability to identify and describe affective and physiological experiences is itself associated with the elevated negative affect (39) commonly seen in alcoholics, even in recovery (40). This latter study also highlighted the link between alexithymia and the emotional dysregulation inherent in addictive disorders. Thus, the unpleasant “undifferentiated emotional” experience of early theories might prompt individuals to engage in maladaptive behaviors, such as excessive alcohol consumption, in an effort to regulate emotions, or, more specifically, cope with negative emotional states (41). We now see how neurobiological models can marry statisfactorially wih psycho-analytic theories. This will be especially the case when we blog about alexithymia, addictive and theories of attachment. We have thus moved from a mainly clinical perspective on the role of emotional difficulties in addiction to providing some neuroscientific evidence that these theories were actually on to something, namely these theories were pointing the way to further conceptualisations of addiction as a disorder of emotional regulation and processing. 6. Hartmann, D. (1969). A study of drug-taking adolescents. Psychoanalytic Study of the Child, 24:384–398. 7. Krystal, H., Raskin, H. A. (1970). Drug dependence. aspects of ego functions. Detroit: Wayne State University Press. 8. McDougall, J. (1984). The “dis-affected” patient: reﬂections on affect pathology. Psychoanalytic Quarterly, 53:386–409. 9. Wurmser, L. (1974). Psychoanalytic considerations of the etiology of compulsive drug use. Journal of the American Psychoanalytic Association, 22:820–843. 10. Khantzian, E. J. (1985). 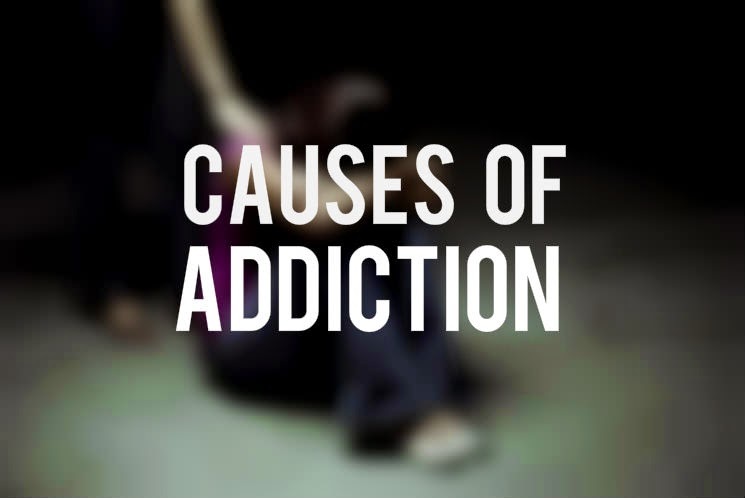 The self-medication hypothesis of addictive disorders: focus on heroin and cocaine dependence. American Journal of Psychiatry, 142:1259–1264. 11. Khantzian, E. J. (1991). Self-regulation factors in cocaine dependence – a clinical perspective. NIDA Research Monograph, 110:211–226. 12. Cheetham, A., Allen, N. B., Yücel, M., & Lubman, D. I. (2010). The role of affective dysregulation in drug addiction. Clinical psychology review, 30(6), 621-634. 13. Mayer, J. D., Salovey, P. (1997). What is emotional intelligence? In P. Salovey & D. Sluyter (Eds. ), Emotional development and emotional intelligence: implications for educators(pp. 3–31). New York: Basic Books. 15. Nemiah, J. C., Sifneos, P. E. (1970). Affect and fantasy in patients with psychosomatic disorders. In O. W. Hill (Ed. ), Modern trends in psychosomatic medicine (Vol. 2, pp. 26–35). London: Butterworths. 18. Austin, E. J., Saklofske, D. H., Egan, V. (2005). Personality, well-being and health correlates of trait emotional intelligence. Personality and Individual Differences, 38:547–558. 20. Parker, J. D. A., Taylor, G. J., Bagby, R. M. (2001). The relationship between emotional intelligence and alexithymia. Personality and Individual Differences, 30:107–115. 21. Krystal, H. (1995). Disorders of emotional development in addictive behavior. In S. Dowling (Ed. ), The psychology and treatment of addictive behavior(pp. 65–100). Madison, CT: International Universities Press. 23. Speranza, M., Corcos, M., Loas, G., Stephan, P., Guilbaud, O., Perez-Diaz, F., et al. (2005). Depressive personality dimensions and alexithymia in eating disorders.Psychiatry Research, 135:153–163. 25. Oscar-Berman, M., Hancock, M., Mildworf, B., Hutner, N., Weber, D. A. (1990). Emotional perception and memory in alcoholism and aging. Alcoholism: Clinical and Experimental Research, 14:383–393. 29. Townshend, J. M., Duka, T. (2003). Mixed emotions: alcoholics’ impairments in the recognition of speciﬁc emotional facial expressions.Neuropsychologia, 41:773–782. 30. Foisy, M. L., Kornreich, C., Petiau, C., Parez, A., Hanak, C., Verbanck, P., et al. (2007b). Impaired emotional facial expression recognition in alcoholics: are these deﬁcits speciﬁc to emotional cues? Psychiatry Research, 150:33–41. 35. Kornreich, C., Foisy, M. L., Philippot, P., Dan, B., Tecco, J., Noel, X., et al. (2003). Impaired emotional facial expression recognition in alcoholics, opiate dependence subjects, methadone maintained subjects and mixed alcohol-opiate antecedents subjects compared with normal controls. Psychiatry Research, 119:251–260. 36. Loas G, Fremaux D, Otmani O, Lecercle C, Delahousse J. Is alexithymia a negative factor for maintaining abstinence? A follow-up study. Comprehensive Psychiatry. 1997;38:296–299. 37. . Ziolkowski M, Gruss T, Rybakowski JK. Does alexithymia in male alcoholics constitute a negative factor for maintaining abstinence. Psychotherapy and psychosomatics. 1995;63:169–173. 40. Stasiewicz, P. R., Bradizza, C. M., Gudleski, G. D., Coffey, S. F., Schlauch, R. C., Bailey, S. T., … & Gulliver, S. B. (2012). The relationship of alexithymia to emotional dysregulation within an alcohol dependent treatment sample.Addictive Behaviors, 37(4), 469-476. My most popular blog to date – examining a brief history of how treating Addiction has often been done so by viewing it as an Emotional Processing Disorder.